Finding the best host for your WordPress site can be a challenge. If you are on a tight budget, it becomes even more difficult. There is no shortage of cheap web hosts. However, some of them offer such cheap prices by compromising on performance. They might have frequent downtimes, zero customer support, slow load times that frustrate your SEO efforts, and so on. When looking for cheap WordPress hosting, therefore, your focus should be on finding the right balance between price and reliability. In this article, we take a look at how you can get cheap WordPress hosting, as well as some of the best cheap WordPress hosting you can get. How To Get Cheap WordPress Hosting? Most of the prices listed for cheap WordPress hosting are usually promotional prices. This means that the prices are only applicable during your first billing cycle. For instance, if the web host requires you to pay upfront for a year, the fees for that year will be calculated based on the promotional price. Once the year is up, renewing your hosting will cost a lot more than the price for the first year, depending on the host. Some hosts might give you the option of locking the promotional price for two or three years, but you have to pay upfront for the two or three years. Paying for hosting 3 years upfront is a bit of a gamble, but it can help you save a significant amount of money. The cheapest hosting prices are usually applicable only when you are paying several months upfront. Many hosts require you to pay in 12 month increments to access their cheapest plans. Therefore, while the monthly fee might be low, the actual amount you need to pay to get the hosting might be a bit higher. How many domains are offered with the plan? Some WordPress hosts only allow you to host a single site if you go for the cheapest package. If your plan is to host more than one site, buying an individual hosting package for each domain can end up being more expensive compared to WordPress hosts that have slightly higher prices while offering unlimited domains. Some WordPress hosts might promise unlimited storage and bandwidth even for their cheapest plans, but sometimes this can be misleading. For instance, a host advertising unlimited storage and bandwidth might recommend their cheapest plan for sites that receive traffic below a certain number, say less than 10,000 unique visitors in a month. While this is sufficient for someone who is just starting out, it can be problematic for someone who is migrating an existing website that has a higher amount of traffic. What kind of customer support is offered with the cheapest plan? You should go for hosts that offer 24 hour phone support. Sometimes, there might be an issue with your hosting, causing your website to go down. In such cases, you want to ensure that you can reach the host’s support regardless of what time of day it is. If phone support is not offered for the cheapest plan, you might end up losing more money on downtimes than you are saving on hosting. The above are some of the most important considerations you should keep in mind when looking for cheap WordPress hosting. However, you should also consider some extras, such as WordPress software updates, automatic website backups, website migrations, and so on. While they are not essential, they make things a lot easier for you. If they are not offered in the cheapest hosting plans, you can still use some tools to implement these extras, though doing so might push up your costs a little bit. Any WordPress hosting plan that costs $5 per month or less can be considered as cheap. If you have to pay for a year upfront, that translates to $60 or less. Some of the cheapest WordPress hosting plans cost as low as $35 per year. What Is The Best Cheap WordPress Hosting? Now that you know how to get cheap WordPress hosting and what cheap actually means, let’s take a look at 5 of the best providers of cheap WordPress hosting. 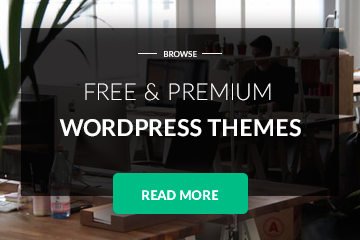 This is one of the best WordPress hosts in the market. Their cheapest plan costs $3.95 per month or $47.40 per year. Despite this seemingly low price, their hosting is quite reliable, with a great balance between low price, advanced WordPress features and decent speeds. With their cheapest hosting plan, your site can support up to 10,000 unique visits in a month, as well as 10 GB of storage space. If you are just getting started, this is more than enough for you. SiteGround’s cheapest hosting package comes with a great set of features. The package is WP-CLI enabled and gives you access to one click WordPress installs and automatic WordPress updates. The package also provides you with a free drag and drop website builder that makes it easy for you to build a professional website even if you have no prior experience. If you have an already existing website, SiteGround allows you to transfer it to your SiteGround hosting account for free. SiteGround’s SuperCacher technology ensures decent speeds. In addition, they have servers on three continents, which increases your load speeds regardless of where a visitor is accessing the website from. With you hosting, you get a free SSL certificate as well as a free shopping cart install. Other extra features on SiteGround’s cheapest hosting plan include daily backups, spam protection and anti-hack protection. They also offer great support, which is available 24/7 via phone, ticket and live chat. However, you can only host a single website on this plan. This is one of the biggest names in the WordPress hosting industry, and is one of few web hosts that have been officially endorsed by WordPress.org. The endorsement by WordPress shows that they are among the best in the market, and with prices starting at $3.95 per month, it is easy to see why they are so popular. With their cheapest package, you get free registration for a single domain, 50 GB of storage space, unlimited subdomains, one click WordPress installation with automatic WordPress updates, access to the site analytics dashboard, access to cPanel and SSH, free website caching, FTP site transfer and an unmetered MySQL DB. You also get a free SSL certificate and access to the Bluehost app marketplace, as well as a free drag and drop site builder. There are unlimited possibilities with the Bluehost WordPress hosting package. With its set of features, it can be used to host all kinds of websites, from online stores and galleries to personal blogs and consultancy sites. 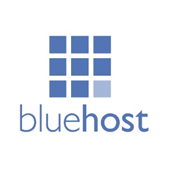 Bluehost also offers excellent 24 hour customer support, both through phone and live chat. The support is quite helpful and will not only help you with any technical issues you might be facing, but will also provide you with guidance on how to set up your website. On top of that, you get access to the Bluehost knowledge base, which you can use to reference whenever you get stuck. From the name, you can already tell that this is a company that prides itself on its cheap WordPress hosting packages. 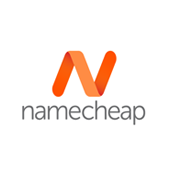 In the past, Namecheap had WordPress hosting offers going for less than $1 per month. While these offers are no longer available, Namecheap has still retained its reputation of being one of the best providers of cheap WordPress hosting, with their cheapest plan currently going at $2.88 per month. With this plan, you get 20 GB of storage, with your files stored in SSD (Solid State Disks). Unlike the other hosts on this list, Namecheap allows you to host up to three websites on a single account. You also get unlimited bandwidth and the ability to choose between servers based in the US or the UK. With this plan, Namecheap offers you one click WordPress installs, which can be done through Softaculous. Another thing that separates Namecheap from the other hosts featured in this list is that you don’t have to pay for 12 months upfront to take advantage of the cheap prices. You can renew your hosting after every one month. In addition, they have excellent support via live chat (with very short waiting times), as well as an extensive knowledge base with lots of tutorial articles. You also get a free PositiveSSL certificate for one year, unlimited parked domains, 30 subdomains, 100+ free apss and automatic website updates twice a week. This is another big name in the WordPress hosting market. Hostgator has been in the market since 2002, during which time they have managed to build a reputation for themselves as reliable providers of cheap hosting through their huge discount offers. Hostgators’s cheapest hosting plan, known as the Hatchling Plan, costs just $2.75. Despite its seemingly low price, the Hatchling Plan comes with an impressive set of features. Hostgator’s cheapest hosting plan gives you access to a flexible and user friendly control panel and provides you with unmetered bandwidth. You also get unlimited email accounts, FTP accounts and sub domains, free SSL certification, and access to the free Hostgator site builder, which comes with 100+ templates to make the process of building your site a lot easier. If you have an already existing website, Hostgator allows you to transfer your domain and your website as well as your Script and MYSQL databases, all for free. You also get access to various tools – such as AWStats and Raw Long Manager – that allow you to keep track of your website’s statistics. The plan also allows you to install forums, counters, portals, blogs and instant shopping cart, and provides you with custom error pages, password protected directories and automatic website backups each week. Their support is available 24 hours a day through live chat. As if all this is not enough, you also get a 99.9% uptime guarantee and a 45 day money-back guarantee, all for the low price of $2.75. At $1.99 per month, iPage offers the cheapest WordPress hosting package. How do they manage such low prices? iPage manages to offer such low prices by focusing on beginners who do not need a lot of fuss and flexibility on their website. Their cheapest plan is a bare bones version that does not offer many of the features offered by their competitors. This might be a problem for web masters with heavy user loads, but if you just want something to get your website started, this package can help you save a lot of money as your business grows. In spite of this, they still have some quite useful features. Their cheapest plan comes with unlimited bandwidth and storage space and a free domain. It also comes with preinstalled plugins that can be quite helpful if you are a beginner, as well as a customized control panel. The control panel is very user friendly, even for beginners. iPage offers support via email, phone and live chat. While their customer support representatives are quite knowledgeable, wait times for email and live chat sometimes get a bit long. iPage tops off their offer with a 30 day money-back guarantee. If you are just starting out with your website and are on a budget, it is important to find cheap WordPress hosting to get you started before upgrading to a more expensive plan as your business grows. When looking for a cheap hosting plan, you should look beyond the listed monthly fee. Check whether the fee is a promotional offer and consider upfront payments, hosting limitation, quality of support and other extras that you might want on your site. Overall, if you are looking for cheap WordPress hosting, you won’t go wrong with one of the web hosts listed above.